- Ligentia is a leading freight and supply chain management provider for retailers and manufacturers with global operations. “The phone system is creating a step change in how we all communicate. Reduction in monthly and overall costs for an improved solution, with new handsets globally and no upfront costs. Our In-house engineers were deployed globally to key office locations, to expertly deliver a smooth installation and train all staff. Better call handling functionality based on location and language preferences. Integrating 7 sites in China, 1 in Hong Kong, 5 in the UK and 2 in Australia together with a number of smaller international sites onto one platform with web based portal management. Ligentia had 7 different telephony providers for their global operations which proved difficult to administrate and manage. Their previous systems weren’t integrated, making it costly and clunky to call between internal sites across the world. Legacy systems from different providers left the companies telephony disjointed with little management capabilities and no modern efficiency driving functionalities. The new solution via its centrally managed web interface allows for it to be controlled with ease over the internet for any site globally. As it is all supplied by us, they no longer have multiple supplier contracts to keep track off. They have 1 bill which is replacing 7 other previous uncoordinated contracts. 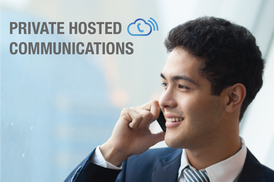 Our platform allows Ligentia to utilise free inter-site calls between any office, whether that be in the UK or China, saving them thousands on overseas call rates. They have improved their internal collaboration for free allowing them to instantly connect to any office across the world, as if they were in the same building. Additionally, users can elevate any communication to a video conference with desktop sharing at the touch of a button. Senior management take significant advantage of our 3CX mobile app, the app allows the user via their mobile device to call internal numbers for free and to make outbound and receive inbound calls from their direct dials where ever they are in the world, as if they’re sat at their desk. 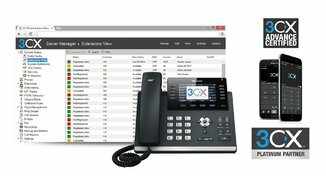 Work mobiles and desk phone numbers can be brought together all on one device. Automatic call recording also captures their calls on every device keeping all their information easily accessible, should they need to refer back to it at a later date. Their customers benefit too, an auto attendant uses professionally recorded messages in English, Mandarin and Cantonese to route calls based on location and language preferences. Making sure every customer is dealt with effectively and comfortably no matter their location.